For project management, different kinds of tools or software have been used. Among those tools, CaseCamp is considered as one of the modernized as well as highly effective software or tools. Project management process is always considered as the key for steady performance of a company or organization. For enhanced company revenues and better business reputation, it is essential to have professional tools for effective project management. A lot of tools are there, offering standardized features and options. 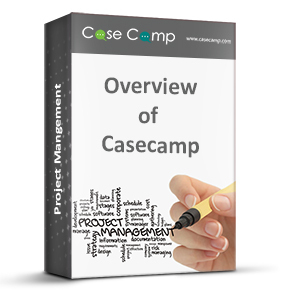 However, CaseCamp has been distinguished as one of the tools that come with many advanced features along with the conventional project management options. Often small businesses face problem with project management process. Even though they remain organized with the approach for project planning and execution, they end up facing a complete mess. This basically happens as they do not find a centralized platform for managing the project. A centralized platform should serve both executives and project managers. It must show progress report, project details, guideline amendment, deadline changes and many more. All these things can be attained with professional project management tool. CaseCamp helps with precision in this case. The tool offers centralized platform, where project managers can see project details, completion rate, attachment files and many more. On the other hand, employees can find different essential things for completing their tasks. They update their tasks accordingly on the project management software. They get suggestions and they can see amendments from the managers. This even helps as well as encourages companies to hire employees at remote locations. Different employees, working from different remote locations, can work seamlessly without facing any mess with the help of professional project management tool like CaseCamp. Time management is an important prerequisite for any project because it is crucial to complete the deliverables well in time in order to avoid any delays or undesirable situations later on. Moreover, the project that is usually divided into sub-segments is easier to manage if time is divided between these segments properly so that each of the team member work according to the specified timelines predefined in the project. However, it is not quite possible to manage all these manually and therefore, CaseCamp software has been developed that is a brilliant time management tool. If an organization or a company buys this software and implements the same in the project, then surely the time management and subsequent work management becomes much simpler. It has a got a very user-friendly interface from where it becomes hassle-free for the managers to keep a track on the individual progress of the project tasks on a regular basis. There are special provisions of display of the activities along with the team members who are allotted with the same. These can be updated and viewed by the managers so as to keep a note on the overall working of the project as a whole. There are specialized time sheets and reports for every single team member of the project so that the tasks assigned can be managed according to the status of the work updated regularly. 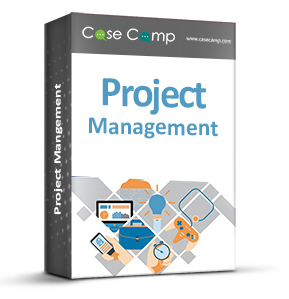 Hence, the CaseCamp software makes project management smoother owing to effective time management. 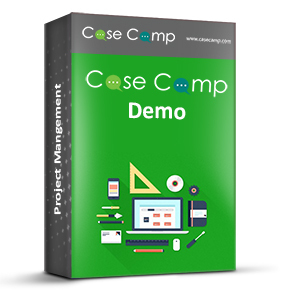 • The CaseCamp project management tool provides the flexible feature of code/Github integration that is not quite prominent in the Wrike tool. • The interface of the CaseCamp tool is more interactive than that of Wrike. In fact, there have been issues related to the ‘less-intuitive’ feature of Wrike’s interface that may hinder the smooth flow of project management process. This is completely eliminated because CaseCamp brings an extremely user-interactive interface where team members and groups can seamlessly communicate with each other. • CaseCamp is comparatively simpler than that of Wrike and therefore, businesses having small or medium-sized project development requirement with normalized ambition can better opt for CaseCamp rather than Wrike, which is a bit more complex. • The feature of messaging is present in abundance in the CaseCamp software, which is visibly missing in Wrike. Instead of the built-in chat app, Wrike has a @mention facility that performs the messaging functions but not in a very interactive and swift manner. • The iOS App tracking and Android App tracking features are another main domain of difference between the CaseCamp and Wrike software. 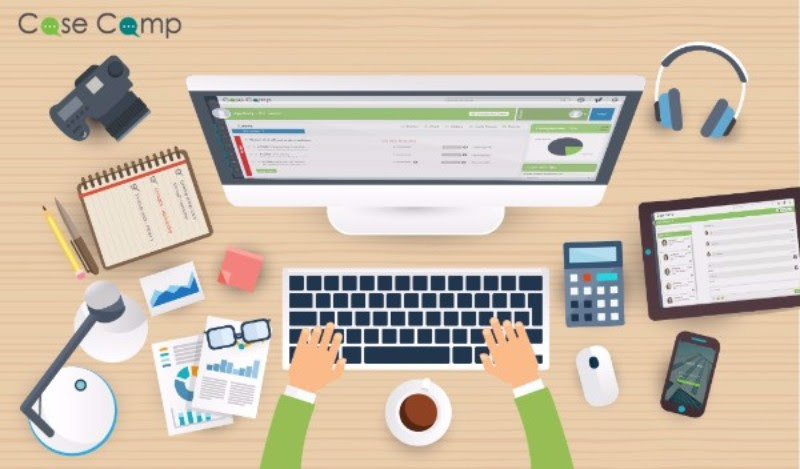 • Some features like ticketing system and employee tracking system are exclusive of CaseCamp software that are absent in such forms in the Wrike project management tool. • Other than these, the collaborative feature in CaseCamp is superior to that of Wrike although Wrike is more focused on improving the speediness of the project deliverables. With these differences, each tool has got separate demands in different kinds of businesses having varying project management requirement. Managing a software development project is not an easy thing, as it involves a lot of hassles. Typically, a software development project has unique lifecycle that includes planning, implementation, development, testing and final product delivery to the client. Each step is important, but software testing and bug management is recognized as the most critical part. For effective bug management, you need to understand a few basic things. To make the process simpler, many developers or software testing executives deploy bug tracking software. Open source bug tracking software can find the bugs accurately and can give you the convenience of easy bug fixing. This is a secured project management platform that helps in effective as well as accurate bug tracking. The major highlight of the system is that it looks seamless as well as user-friendly. It comes with many advanced features or options for the bug tracking and project management tasks. Not just bug tracking; it also helps in client payment as well as milestone tracking. So, basically it is a project management system that comes with robust bug tracking options. It is a famous issue tracking system that comes with many advanced features or options. Using this system has certain exceptional benefits that you may not get with other systems. First of all, it is fast and robust. Secondly, it is accurate with bug tracking and fixing tasks. This is yet another web based project management system that comes with effective as well as advanced bug tracking features. You can track bugs and can fix them with ease with this robust tool. Using this tool has many other benefits. In addition to bug tracking, you can plan, execute and schedule your projects. When it comes to choosing bug tracking tool, CaseCamp is recommended for its amazing as well as interesting features. This open source system is also a project management system. CaseCamp Group is the 5th most popular group in LinkedIn for project management. It shows the popularity of this project management system.